steadfast in all your ways. Do not turn to the right or the left; keep your foot from evil” (Proverbs 4:26-27). Kids complain, “My parents won’t let me do anything!“ As children grow older, they want fewer restrictions and more freedom. Kids cannot understand why parents don’t trust their judgment. They view parental boundaries as roadblocks to their independence. Boundaries provide both security and freedom. At birth, children are entirely dependent upon their parents. As kids grow, they begin testing their will and pushing to see where the boundaries are. God directs parents to provide boundaries and teach children to respect and value limits. Christian parents are to wean their children from dependence upon themselves to dependence upon the Lord in order to make good choices. As a good Father, God lovingly provides limits for His children. He wants children to depend on Him and to learn that godly attitudes and behaviors will bring blessing to their lives (Hebrews 12:5-11). God gives people limits and discipline so that He can bring a harvest of righteousness. In the world of parenting, sticking to consistent boundaries can be one of the most rewarding, yet tiring battles. During daily routines such as shopping, school, interacting with friends, or taking care of the house, it is easy to lose heart. For Will and Carissa, this situation played out one spring evening during small group—just after their three small children had gone to bed. For the previous two weeks, their three-year-old had been throwing a fit almost every night about going to bed. This particular night was no different; he was mad about being in bed and missing out. Mom and Dad had a distinct choice—stick to their convictions, or appease their son just to get through small group. Will smiled ruefully at the group of twenty friends, “I know the crying is distracting, but we’d love your grace as we stay consistent with our son!” With the full support of the group, Will and Carissa proceeded with the discussion amidst the background protests and crying. The group supported their determination to make progress with their headstrong son. The following week, Will and Carissa greeted the group with smiles and a testimony of praise. “Several days after small group we finally broke through! One evening he got tired of fighting and protesting, and just fell asleep. He’s fallen asleep like a rock every night since!” Their persistence to hold their son to their expressed boundaries paid off. The commitment to train in obedience and right attitudes would serve their son the rest of his life. Kara lived in a small northern Iowa town where anyone with a special talent sticks out like a sore thumb. She was taller than most of the other girls and enjoyed sports, especially volleyball. In her sophomore year of high school, the coach of an exclusive team recognized Kara’s talent and saw the potential for a first-class member of his team. The coach explained to Kara that with some specialized training she could become a player whom many colleges would seek out—and probably result in a full-ride scholarship. Since Kara’s dad was a pastor, this was very attractive financially. The coach invited Kara to join the special team—with a troublesome qualifier—all practices took place on Sunday morning. The patrol ship approached an island to perform an exploratory mission. Its captain chose a beach and headed towards land. Several planes that were accompanying the ship could not only see the island, but also the ocean surrounding it. Unbeknownst to the captain, an enemy vessel was approaching around the bay. One of the fighter pilots quickly contacted the ship and directed the captain to immediately change course to the southern half of the island. Details would follow, but for now a quick response was paramount. The captain adjusted his course and approached the island from another route—saving his crew from a life-threatening skirmish. God’s superior point-of-view often parallels the interaction between the fighter pilot and the ship captain. Without knowing the full details of “why,” the Lord sometimes asks us to change course or to give up certain things. God sees from a wider perspective. He knows what we really need in order to live holy, meaningful lives. When we trust the all-knowing, generous, and wise God, we respond with glad obedience—whether or not we know the full reason. Establish clearly defined boundaries with your children. Explain that limits are like “fences” that keep good things in and bad things out. 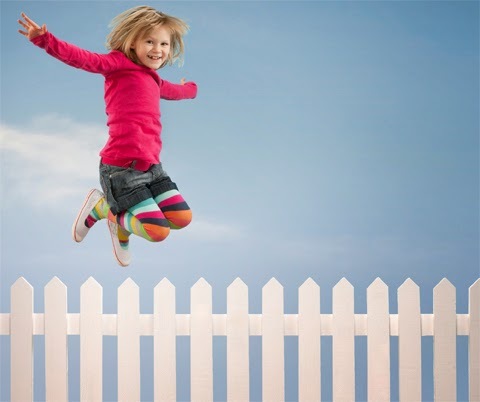 Inside the fence, kids enjoy freedom to roam within a safe environment. Outside, dangerous influences lie in wait. Explain expectations early and often (Ephesians 6:4). Teaching about boundaries takes consistent, clear communication. Reviewing expectations will help your child internalize exactly where the boundaries are and why they are there. Help your child navigate his/her emotions (Proverbs 21:2). Tantrums can stem from a child’s inability to verbally express emotions, or an effort to change your mind. Show your child healthy ways to express emotions and wants. Use his/her inappropriate emotional responses as teachable moments. Welcome “why” questions (Proverbs 2:1-6). When your child asks questions out of curiosity and not defiance, he/she will benefit from knowing why each boundary is important. This will help him/her make moral decisions in the future. Use definitive language (Proverbs 1:8-9). Parents often make “suggestions” or “requests” for directives that are not intended to be optional. Clear language helps avoid confusion for your child. Use “requests” for responses that are optional. Use clear directions when you expect an obedient response.